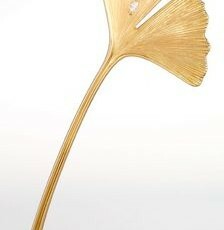 CADEAUX JEWELRY created the Ginkgo pin in 1990 in reverence to a deep symbolism. This 300 million years old tree endured natural and man-made cataclysms, earning its stature as sign of longevity, endurance. 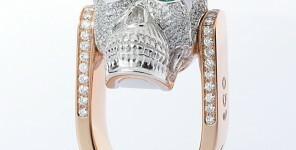 A symbol of everlasting values. Its split leaf (“biloba”) inspired Johann Wolfgang von Goethe to identify the Ginkgo with his thesis of duality – of two in one and one in two – in a poem in 1815, presenting the leaf as a symbol of love and harmony, akin to Yin and Yang in Eastern philosophy. In physical respect, the Ginkgo’s health-giving properties have made it a coveted ingredient in ancient medicine and in modern supplements and cosmetic products. 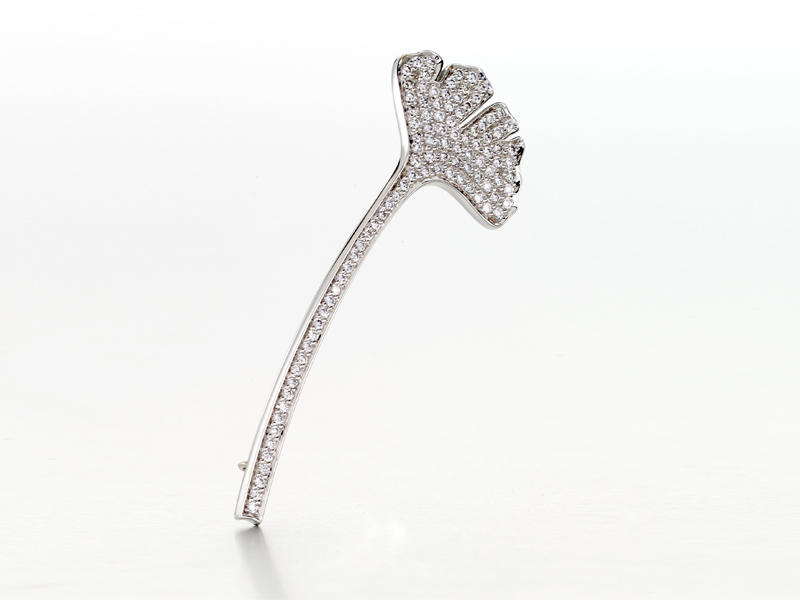 CADEAUX JEWELRY made its original Ginkgo pin by minting technique that revealed the leaf’s precise and delicate texture, which gave rise to the English name Maidenhair tree. The Ginkgo’s rich properties and its profound symbolism – both in the East and in the West – make it a perfect icon for CADEAUX JEWELRY. In 18 Karat gold and with a thickness of 3.3 mm, the original Ginkgo ring is an intensely modern creation, radiating strength and sensibility. 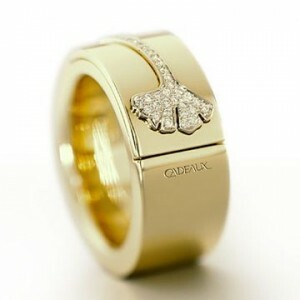 The Ginkgo leaf is made of white gold set with diamonds and is inlaid into the upper ring band. 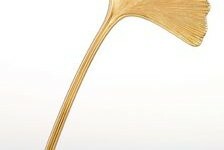 The latest edition in this series of jewelry featuring the Ginkgo leaf. 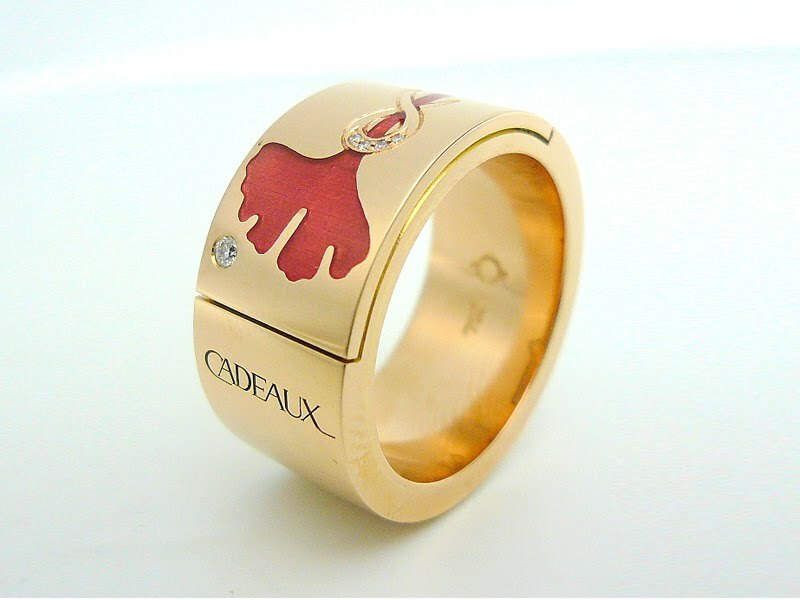 The leaf is brought to life with a red ceramic coloring and finely set diamonds in 18 Karat pink gold. The Ginkgo symbol of CADEAUX JEWELRY as pin in 18 Karat white gold encrusted with pave diamonds. “Mille Sous”: the tree’s French name reflects its rich appearance when in autumn the leaves turn golden yellow and look like a “thousand coins”. CADEAUX GINKGO AG is the owner of all Copyrights, Trademarks, Service Marks and Hallmarks associated with CADEAUX JEWELRY, CADEAUX Schmuckmanufaktur, the Ginkgo leaf symbol of CADEAUX JEWELRY and related logos.